A stress-free buying experience – As you would do for a boat located near you if from UK, US, Australia or New Zealand, the process is handled by your local Multihull Solutions representative. Sales documents are in English and the deposit is paid to Multihull Solutions escrow accounts in Singapore or Australia. A hassle-free buying experience – If you wish to have your boat delivered and imported into your own country Multihull Solutions can suggest experts to handle the whole process for you, from hiring a certified delivery skipper to managing the import and customs process. 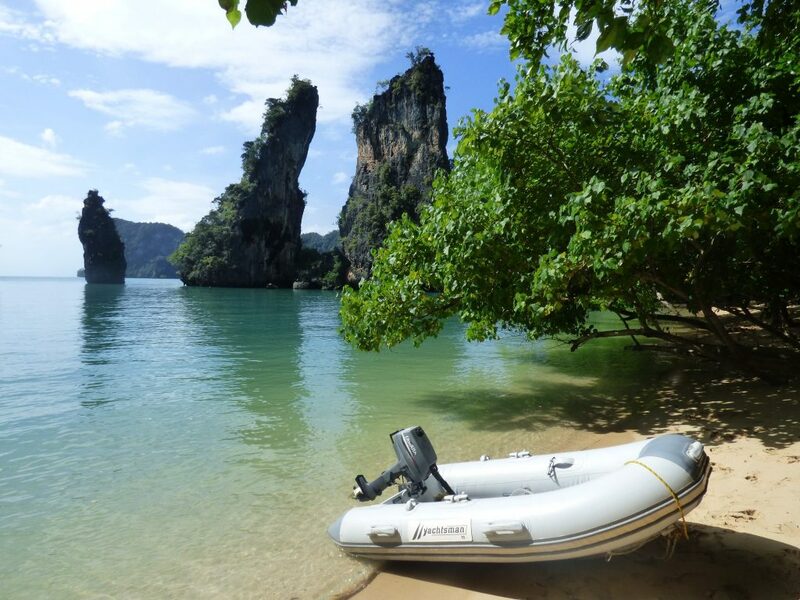 For global registry a Langkawi, Malaysia registered boat can be beneficial. An efficient and unforgettable experience – Come and visit our boats for sale in Phuket, Thailand or close by: Multihull Solutions will help you find the best accommodation in Phuket. Our local representatives can collect you at the airport and take you to your viewing. You just have to book your plane tickets! Once in Phuket you will be able to visit as many of our listed boats as you wish, while sparing some time for relaxing moments on the beautiful island. All technical items – From hiring a certified skipper for sea trials to organizing a survey with a certified surveyor we can recommend contractors. Once you’ve made your choice we can help manage the preparation of your boat for long-distance sailing thanks to our network of professional contractors. Get full training before you start your sailing adventure – Should you wish to learn how to sail your new multihull with an experienced skipper we can organize it for you. We work with an array of certified skippers, very knowledgeable about the various multihulls on the market. You can opt for a one day training or a several week coaching program – we can suggest the right coach for you. Keep your newly purchased multihull in Phuket – A very popular option for our buyers. There are world class contractors here that can maintain your boat in pristine condition and have her prepared for your arrival. When not in use she can be dry stored and given enough notice to be launched and made ready for your trip. Further you can earn income from your multihull when you are not enjoying her if placed with our preferred Charter Operator here. Cruise some of the most beautiful places in the world – The Thailand cruising area of Phang Nga Bay, northern Indonesia, Malaysia, out to the Maldives, Sri Lanka, Seychelles and further afield. These are amongst the most beautiful in the world. By choosing a catamaran in Phuket you allow yourself to discover all of them on a nice downwind journey to South Africa and carry on up to the Caribbean. Or through the Suez Canal to the Eastern Mediterannean – a word of caution using this route please check advisories and your insurance. Or simply do the Indian ocean circuit and come back to Phuket and store her for your next seasons adventure. Previous Top TipWhat’s right with buying an ex-charter multihull?